It’s getting to the point in the year when the weather is going to change and temperatures will start to drop. 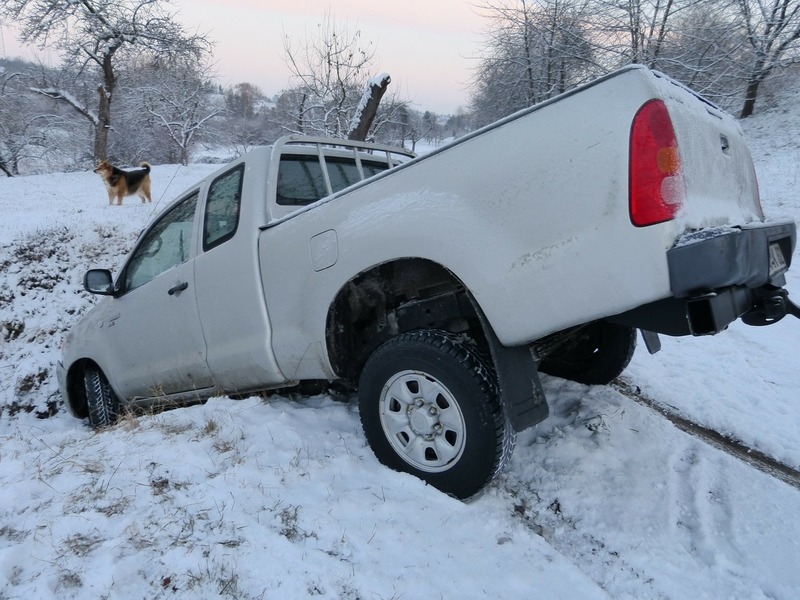 In some parts of the country, the winter months can be more severe than others but wherever you are driving, it’s important to prepare for accidents and know what to do if the worst thing happens, from the second you pull out of the garage in the morning. Statistics show that more than 100 people suffer fatal car crashes in the US every single day and while it’s important to drive safely throughout the year, the winter months require special preparation. According to the Federal Highway Administration around 70% of America’s roads are located in areas that will experience snow during the winter months. This figure is based on snowfall that reaches over five inches each year and doesn’t reflect those areas where winters are more severe. In other words, most Americans have to deal with driving in winter conditions at some stage in their lives and for that reason, the right precautions has to be taken to avoid the hazards created by colder weather. Keep calm: Any kind of incident on the road is shocking and often the first instinct is to take whoever is considered at fault to talk on the roadside. In difficult or hazardous driving road conditions, it is not wise to leave your vehicle at all and it’s never advisable to behave aggressively before the details of the accident are known. The first response to an accident should always be to call 911 and request emergency assistance. Leave the road: If your vehicle is still operable after an incident, it needs to be moved out of the way of other road traffic to prevent causing further obstruction. If visibility is poor and road conditions are bad, this should be done with care and with the correct lights operating on your vehicle so that others are clearly able to see what’s going on. If you can’t leave the road, stay in your car: Road traffic accidents cause a lot of shock and confusion and in the melee afterwards, more hazards can be created particularly if on a busy highway. If it’s not possible to move your vehicle to the side of the road, it’s important to stay inside and fasten your safety belt and then wait for emergency services to attend. Wandering around the road in poor weather conditions is probably the most dangerous response to an accident. Better to sit tight and wait for help. Make yourself Visible: If you have been involved in a traffic incident, it’s important to be visible to other road users by placing warning triangles, using road flares, putting on a high-visibility jacket or wrapping bright cloth to your door handle. One of the best ways of dealing with an accident is to make sure others don’t happen. Make a note of pertinent details: Although accidents can cause shock amongst those involved, it’s always worth making a note of all the people present for witness statements that will be required to make an insurance or compensation claim. It’s a fact of life that accidents happened but if you find yourself in that situation, you can help yourself by taking the steps above. Perhaps the most important tip is to remain calm as it’s often as a result of the shock or trauma experienced in vehicle accidents that the details of the incident can be lost and they are vital when it comes to making any kind of claim. If you’ve been injured in a car accident or other serious accident, contact a trusted personal injury attorney.